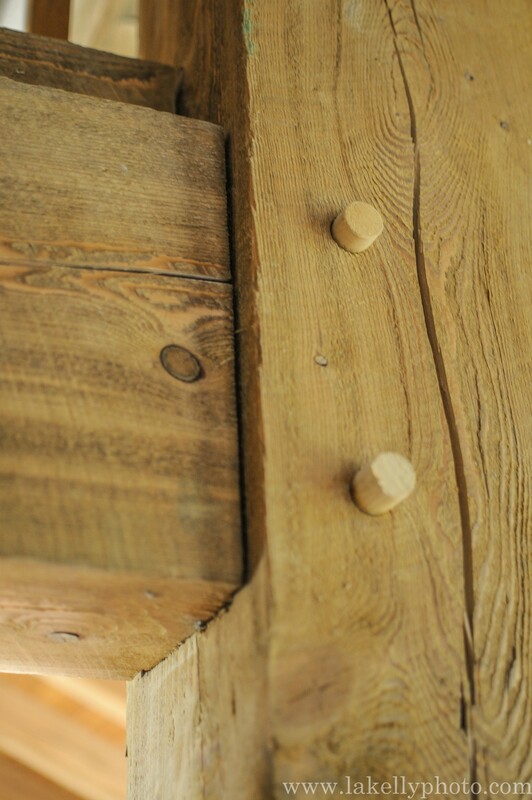 Rough sawn timbers look great in barns and barn homes. They have a wonderful rustic appearance. 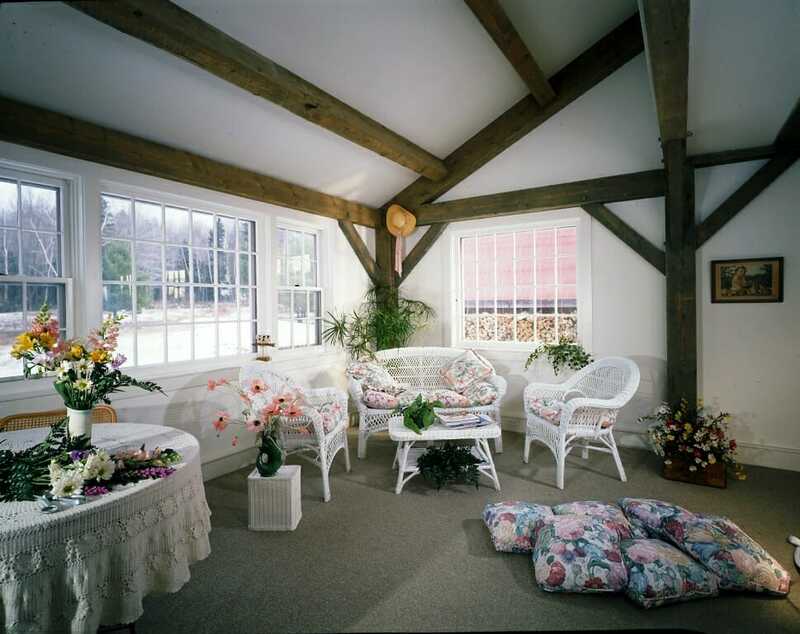 Hemlock is a great wood to use for rustic rough sawn timbers, particularly when used in a barn style home. 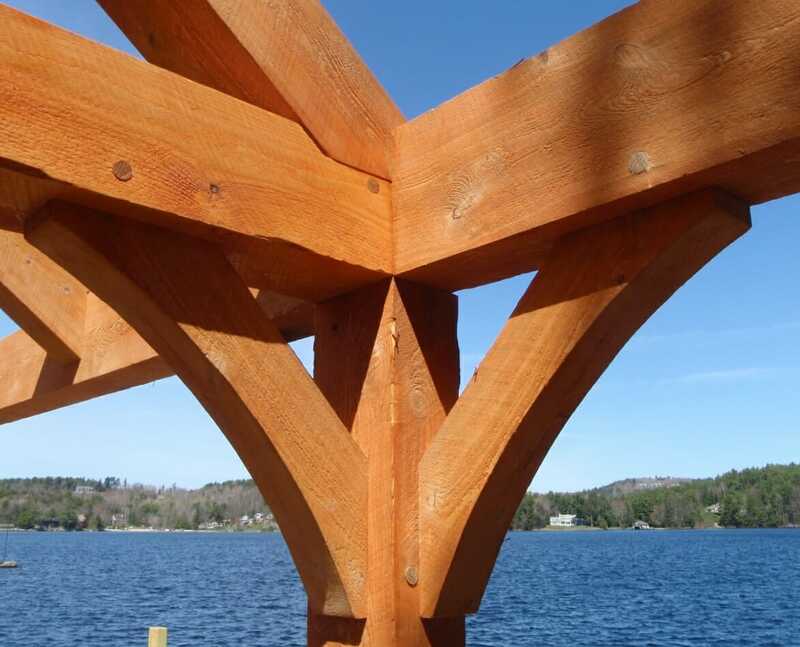 We finish the timbers just as they come from the sawmill – with the saw marks in place. 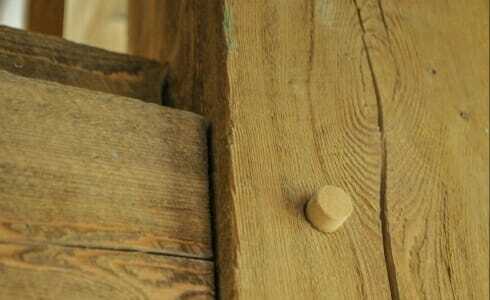 Of course we clean them up with a whisker wheel before applying a stain or an oil, but we make sure that their original rough hewn appearance remains. Rough sawn beams with an antique look in the Klonsky Residence.